The United States of America, particularly its leadership (such as it is), hasn’t been winning very many popularity contests as of late – either overseas or at home. The last two presidents have stepped up military drone strikes against Islamic extremists globally, but mostly those countries that have numerous oil fields. Countries such as Russia, Iran, Somalia, Libya, Egypt, Pakistan and Nigeria are currently in negotiations to collaborate using an alternative currency to the US dollar, such as the Euro, the Chinese Yuan or possibly the Russian ruble, but these oil-producing countries are also using gold as a form of currency. Resorting to such tactics by any of the above countries would be a direct threat to US interests both foreign and domestic, and it would provoke a strong US military response. Here on the home front, our cities are deteriorating due to a glut of boarded up houses, long-dormant industrial sites and abandoned shopping centers. Much the same has happened to many small rural towns for mostly the same reasons. The least common denominator to why this is occurring is the lack of jobs, or jobs that pay a fair minimum wage of, say, $12-$15.00 an hour. And then there’s our police forces, who are supposed to be protecting and serving the public. Instead, they have mutated into a militarized law enforcement apparatus equipped with military-grade weapons, and many if not most of them are more trigger-happy than they would care to admit. As of this writing, the FBI, BATFE, NSA, DEA and the DHS have ordered a total of over 3.5 billion rounds of hollow-point ammunition! That’s enough to kill everyone in America 10 times over! So why did law enforcement purchase such an enormous amount of ammunition knowing that it was more than they would ever use? If it was to prevent mass shootings, I would say they have failed miserably! It was, in large part, for the purpose of denying American gun owners access to ammunition by buying up the supply of ammo that would otherwise go to gun dealers and on to the retail and consumer markets. This enormous amount of ammunition has been purchased for the same reason the police departments are acquiring military grade assault weapons and armored vehicles. They are preparing for mass protests and possible rioting over food and fuel shortages that could even mushroom (no pun intended) into a civil war in a worst-case scenario. Although it is also intended to cut off the supply lines of weapons and ammo to criminals and the mentally ill, cutting off the entire ammo supply to every man, woman and child all across the country is a poor choice. It is also arguably unconstitutional as it likely violates the 2nd Amendment right to “keep and bear arms”, which by extension includes the ammunition required. But, it has been my observation that there are far more clandestine reasons that are carefully hidden underneath the surface for this to be occurring. The forces and enforcers of the status quo are the same individuals who stand to lose everything when the US dollar loses up to 79% of its value and the capitalist debt-based economic bubble finally bursts for good, as it eventually will. (And maybe sooner than expected. Jesus said. “Do not store up for yourselves treasures on earth where it will rust or be eaten by moths, or that thieves break in and steal. But instead, store up for yourselves treasure in heaven, where moths don’t eat up your clothes, where nothing ever rusts, and where thievery is nonexistent.” (Matt. 6: 19-21)) When that collapse finally does occur, it will bring the American, Canadian, European, Japanese, Chinese and Russian economies down along with it. Even here in the USA, there are presently numerous individuals, and even whole families, who are engaged in activities known as “prepping”. I have begun to do this very thing myself, mainly by storing nonperishable food and gallon jugs of water. What does this say about our country? It looks to me like there are many saying, ‘We’ve had enough of all this crap. The entire American political and economic landscape is a disaster area, and the government is also broken beyond repair. So it’s up to us to fix it ourselves.’ It looks like the American people, urged on by Progressive writers like myself, have begun to undertake this very thing. All I am saying for this week is that my country seems to be slowly dying, and that gives me great concern for my future as well as that of everyone else. One thing is certain; America is a hollowed out shell of what it used to be. The job market is absolutely decimated – never mind all of the propaganda that comes from the mainstream media about gaining 240,000 new jobs last month. They are almost entirely minimum wage jobs everywhere I look. It makes me glad I am retired from the work force and grateful for my small disability check. At first when I became disabled I complained about how small my monthly check was. But, having the time to sit back and watch the implosion of the American job market from 2011 up until now, I stopped complaining a long time ago. In fact, it was sinful of me to have done that, and so I confessed that sin to the Lord and begged His forgiveness and he fully restored me (hallelujah!). He wants to restore us all, so confess your sins and Jesus will forgive you too. It doesn’t matter how bad you have been, or what you did and when, or what your past has been like. The blood of Jesus washes it all away. So for the last few years my faith in the Lord has greatly multiplied while my faith in my country has suffered because of the atrocities I have seen when I view the news on the Internet (I don’t watch TV). Since the Vietnam war there have been about 2,000,000 civilian casualties globally during all the wars America has fought, allegedly for the cause of “freedom”. In the latest US disaster Syria has descended into a 6-year civil war that is just now winding down. So I am seeing all these things going on over in the Middle East and I find that I’m not really very proud of my country any more, if I ever really was at all. Because these wars weren’t for “freedom”. They were fought for the top 1% of the world’s wealthiest families, the Four Horsemen “Big Oil” conglomerates, the multinational bankers and the US military-industrial-incarceration complex – all of whom are hiding behind the facade of “freedom and democracy”. That’s why I honor our nation’s veterans, who went and put themselves in harm’s way on their country’s behalf (nothing wrong with that at all! ), while having contempt for their paymasters in Washington and on Wall Street. Recently there came across the news wires here in Atlanta a short piece about a certain local state university, Kennesaw State (KSU). It seems a group of 5 cheerleaders for the football team “took a knee” during the national anthem as part of the ongoing protests at public events against excessive force being wielded by law enforcement, sometimes with deadly consequences. As could be expected, these Colin Kaepernick-inspired protests have generated feelings ranging from confusion to outright hatred. It also caused widespread concern and confusion among the college’s students, professors, alumni, supporters and, yes, donors – many of whom felt like playing the anthem compromised Christian values. Was this just another example of our traditional values being trampled by the unrelenting march of political correctness? All of this is a prelude to a time in the not too distant future when there will be persecution of Christians right here in the USA. Laugh at me if you want, but it’s most definitely going to happen, and those who refuse to believe will have a rude awakening at some point in the fairly near future. Being an authentic follower of Jesus Christ in the 21st century means having a living faith in Jesus while faithfully living the way of Jesus. Jesus called his disciples to love their enemies and he loved his enemies all the way to the cross and beyond. He never went to war one single time. Following Jesus and the martyrs before us, we testify with our lives that freedom is not a right that is granted or defended with rockets’ red glare and bombs bursting in air. True freedom is given by God, and it is indeed not free. It comes with a cost, and that cost looks just like a cross. How do we plug ourselves into the unlimited power of the cross of Calvary? First, it is imperative that we all believe that Jesus Christ was the Son of God. As such, he supersedes all authority here on earth. Next, we must all repent of our sins and bad behavior, for the world cannot know of its brokenness and hopelessness without a Savior to show them a superlative way of life. There needs to be more people practicing the ways of peace while putting away their childish arguments. Nobody gets everything their way all the time. Life simply doesn’t work that way. The world cannot know that there is an alternative to violence and war without a people of peace living peacefully. The world cannot know that the weak and the vulnerable are cared for by God without a people practicing an economy centered on sharing and mutual aid. Let us ask ourselves this basic question – if I die in my sleep tonight, what kind of legacy will I leave? However you ask yourself this question, let’s all make sure the answer will be that which motivates us all to the propagation and proliferation of peace, which is only achieved by worshiping the Prince of Peace. The world cannot know the immeasurable worth of human life without a people who consistently work to protect it – in the unborn, in the convict, in the immigrant, in the homeless, in the soldier, in the retirement homes, in the mental hospitals, and in the enemy. These convictions do not reflect ingratitude or hatred for our country. Rather, they reflect a deep love for Christ and a passionate desire for the people to be the Church and visa versa. In order for any people to be qualified as a nation in the sight of the Father, it is paramount that they first make themselves servants of Christ. After all, it is written: “Whoever wants to be called the greatest among you must first become the greatest servant”. I love my country and I do honor our veterans, but I sing my loyalty and pledge my allegiance to Jesus Christ alone. This is because, in the end, our souls and our Savior are all that’s going to be left after everything else crumbles. Perhaps the most ominous sign regarding the true nature of economic discrimination and class warfare against the middle class and the poor, which invariably includes people of color, is that of bullying, intimidation and similar forms of abuse directed at employees in the workplace. Although I’m certain that everybody who reads this can think of an example of having a really bad boss, the following alarming example of abusive management in the third world is the best (or worst) example I have found. The question is, could this “method” of management be coming to America’s shores next? Worse yet, is it already here? More than a decade ago, shoe giant Nike came under fire for its use of sweatshop labor in the production of its products. Most of the criticism focused on its Indonesian workforce, where workers, largely young women, were forced to labor under harsh conditions and abusive supervisors. In 1997, filmmaker Michael Moore made Nike abuses a subject of his film “The Big One”, and met with Nike CEO Phil Knight. Knight explained that the reason his company was using low-wage labor in Indonesia is allegedly because “Americans don’t want to make shoes”. At the Taiwanese-operated Pou Chen Group factory in Sukabumi, Indonesia, which makes Converse shoes for Nike, and PT Amara Footwear factory in Jakarta, workers alleged that they are paid ultra-low wages, regularly verbally and physically abused, and even fired for the act of taking sick leave (this has since become a fact of life in the American workplace as well). The 10,000 mostly female workers at the Taiwanese-operated Pou Chen plant make around 50 cents an hour. That’s enough, for food and bunkhouse-type lodging, but little else. Some workers interviewed by the AP in March and April described being hit or scratched in the arm ― one man until he bled. An internal Nike report released to the AP found that ‘nearly two-thirds of 168 factories making Converse products worldwide fail to meet Nike’s own standards for contract manufacturers. Meanwhile, in 2010, Nike CEO Mark Parker received an 84 percent hike in his annual compensation, raking in $13.1 million, an amount many of the workers in Sukabumi and Jakarta can only dream of. If the top 1% has their way, these kinds of workplace abuses and sweatshop conditions will be making their way to your workplace. Here in Georgia where I live (plus several other states, mostly in the Southeastern US) we have what are called “right to work” laws. Basically what it means is that anyone can be terminated for any reason, or sometimes for no reason at all. So no matter where you work, there is always this cloud of uncertainty hanging overhead, knowing that you can get canned without warning, even if you are doing everything right. Imagine what Jesus would say about this if He came back today! Would he be pleased? Absolutely not! So I would say that being forced to work in what amounts to a hostile work environment is just one more reason for us all to rise up against the top 1% and take back all that they have stolen from us. Our dignity, our human rights and our governmental, economic and political systems will be taken and confiscated from the rich no matter how long it takes! The fact of the matter is that this type of brute-force management has lately spread from much of America’s professional life over into our personal lives, with the most obvious examples being the militarization of our police departments combined with the lost cause known as the “war on drugs”. In so doing, those who used to be sworn to protect and to serve have become those who harass and intimidate. They have become the lackeys of the top 1%, with some in law enforcement chomping at the bit for an opportunity to lock up a few people and bloody a few heads, if not worse. However, I also believe that there is no small number in the law enforcement community who realize that they are actually part of the 99%. When they do, and especially when they realize that they are just pawns for the 1%, they will join us in droves, coming over to our side having realized that they were only being contemptuously used to guard what the 1% has hoarded at the expense of all the rest of us, including themselves. The police arms race has very clearly spread well beyond the urban borders of the only cities to actually be targeted by foreign terrorists. Now, police officers routinely walk the beat armed with assault rifles and garbed in black full-battle uniforms. The extent of this weapon “inflation” does not stop with high-powered rifles, either. In recent years, police departments both large and small have acquired bazookas, machine guns, and even armored vehicles and tanks for use in domestic police work, as if such things were truly needed. They aren’t. The most serious consequence of the rapid militarization of American police forces, however, is the subtle evolution in the mentality of the “men in blue” from peace officer to urban soldier. This development is absolutely critical and represents a fundamental change in the nature of law enforcement. The primary mission of a police officer traditionally has been to keep the peace. Those whom an officer suspects to have committed a crime are treated as just that — suspects. Police officers are expected, under the rule of law, to protect the civil liberties of all citizens, even the bad guys. For domestic law enforcement, a suspect in custody remains innocent until proven guilty. Moreover, police officers operate among a largely friendly population and have traditionally been trained to solve problems using a complex legal system; the deployment of lethal violence is supposed to be an absolute last resort. Soldiers, on the other hand, are trained to identify and kill the enemy. This is a problem. Cops are increasingly seeing the citizens they’re hired to protect as ‘the enemy’. This is in part how nonviolent protesters end up tear-gassed and shot at. This is part of why violence is so often the first resort of cops dealing with any sort of tricky situation, rather than the last. The idea that we need our cops to be the heavily armed soldiers of the streets instead of, say, social workers and peacekeepers with the power to arrest leads to bad recruiting, bad training, unnecessary deaths, mass distrust of the police by vulnerable communities, and the contemptuous feeling of many cops that they themselves are above the law. The trend toward a more militarized domestic police force began well before 9/11. It actually began in the early 1980s, as the Reagan administration added a new dimension of literalness to Richard Nixon’s declaration of a “war on drugs.” Reagan declared illicit drugs a threat to national security. In 1981 he and a compliant Congress passed the Military Cooperation with Law Enforcement Act, which allowed and encouraged the military to give local, state, and federal police access to military bases, research, and equipment. It authorized the military to train civilian police officers to use the newly available equipment, instructed the military to share drug-war-related information with civilian police and authorized the military to take an active role in preventing drugs from entering the country…. In 2006 alone, the Department of Defense distributed vehicles worth $15.4 million, aircraft worth $8.9 million, boats worth $6.7 million, weapons worth $1 million and “other” items worth $110.6 million to local police agencies. After 9/11, police departments in some cities, including Washington, D.C., also switched to battle dress uniforms (BDUs) instead the traditional police uniform. Critics say even subtle changes like a more militarized uniform can change both public perception of the police and how police see their own role in the community. One such critic, retired police sergeant Bill Donelly, wrote in a letter to the editor of the Washington Post, “One tends to throw caution to the wind when wearing ‘commando-chic’ regalia, a bulletproof vest with the word ‘POLICE’ emblazoned on both sides, and when one is armed with high tech weaponry.” Departments in places like Indianapolis and some Chicago suburbs also began acquiring machine guns from the military in the name of fighting terror…. The total number of SWAT deployments per year in the U.S. may now top 60,000, or more than 160 per day. SWAT teams have been used to break up neighborhood poker games, sent into bars and fraternities suspected of allowing underage drinking, and even to enforce alcohol and occupational licensing regulations. Concern about such firepower in densely populated areas hitting innocent citizens has given way to an attitude that the police are fighting a war against drugs and crime and must be heavily armed. Never mind the collateral damage! Earlier this year, the Department of Education even sent its SWAT team to the home of someone suspected of defrauding the federal student loan program. In so doing, the inability to repay one’s student loan has now become criminalized. 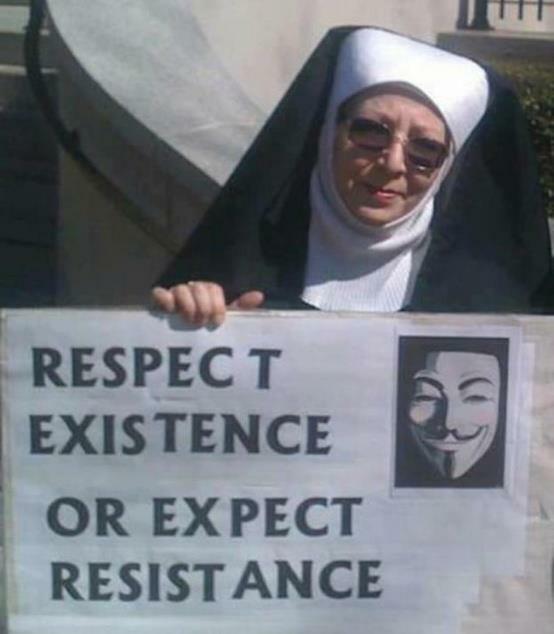 This is why we are occupying and will continue to occupy America. Being poor and broke is not a crime. We the American people will not stand idly by while poverty becomes criminalized. Enough is enough! Class warfare has been declared upon us all by the top 1%, and the main assault against the remainder of us has already commenced. 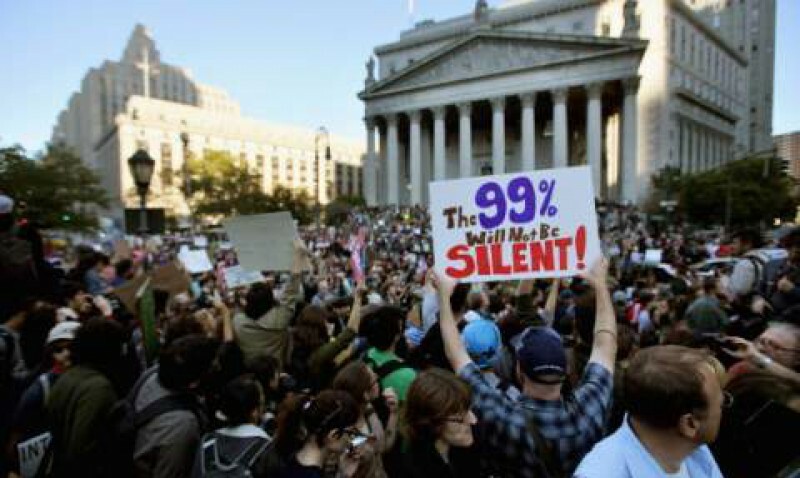 Starting with the Occupy Movement in September 2011, and the ‘We Are the 99%’ Movement at about the same time, the counterattack by the 99% against the elitist 1% has begun in earnest. In so doing, although a second American Civil War has been started by the wealthy elitists, it is we the people – the 99% – who comprise the overwhelming majority of America, and it is we who will finish it. In fact, this counterattack has already begun, it’s just that it wasn’t that apparent at first. It wasn’t supposed to be. In the next chapter I will shed as much light as I can on how this is occurring, and highlight a few methods about how this can be accomplished in as peaceful a manner as possible. Available on Amazon for $14.95, or visit www.pcmatl.org/books-and-donations and buy direct (free shipping, tax deductible)! Or, buy the E-book ($2.99) at https://payhip.com/b/CV5h (also on Kindle or Nook). There are two things we can keep from all this as lessons for further down the road of life. The first is one we’ve all heard before, but apparently some highly placed and influential people seem to have forgotten this – it never pays to cheat! And even when it does, those ill-gotten gains will evaporate at some point down the road – and always at the worst possible moment. That’s just the way life works. The second thing is something few people have yet realized – the Democratic party’s very existence is threatened thanks to Hillary’s apparent cheating in the 2016 primary election. Moreover, the Republicans also have their party’s existence threatened by the way Donald Trump has handled his presidency up till this point, making America the laughingstock of the entire world! So, it’s safe to say that Ms. Brazile and her new book have dealt a severe blow to the US Republican-Democrat political paradigm. That in and of itself may be the best news of all for regular folks like ourselves. Hillary Clinton and Donald Trump both have a debt to repay to the American people. They both tried to buy their way into the White House. They both tried to cheat their way into the Oval Office. As we know, only one of them succeeded, but that is besides the point. Whatever the amount of money each of them spent getting elected – or trying to – they should reimburse the American people for rigging the system. And then there’s the fact that Russian intelligence tampered with both sides during our election trying to rig the outcome. As before, Russia has also been caught cheating. But for now, let’s focus on Hillary Clinton, Donald Trump and the money they spent buying their way into the White House. According to CBS News, a total of $6.8 billion was spent on the 2016 presidential campaign. OK then, Jesus was evidently in agreement with Zacchaeus in Luke’s gospel, the tax collector who had the bad reputation (see Luke 19: 1-10) among the people. As you read in the last paragraph, Zacchaeus told Jesus, “….if I have cheated anybody out of anything, I will pay back four times the amount….”. Jesus must have found those terms acceptable since he said nothing to the contrary, right? Then those terms are clearly also applicable to Trump and Clinton. What, they don’t believe in Jesus the same way I do? They don’t interpret the Bible word-for-word as I do? That makes no difference whatsoever since Jesus is the same yesterday, today and forever!! All right, then, let’s do the math here – $6.8 billion times 4 equals $27.2 billion – divided by 325 million people. My calculator tells me that works out to $8.3 million for every man, woman and child – right down to the sweet little babies. Eight million three hundred thousand bucks will buy a whole lot of groceries, that’s for sure (guess I’d never run out of coffee, thank God!). Other than that, the best thing that could happen to America would be a third party candidate presiding in the Oval Office come January 2021. Until then, don’t cheat. It never pays. Hillary Clinton has already had to relearn this lesson. Don’t make the same mistake.